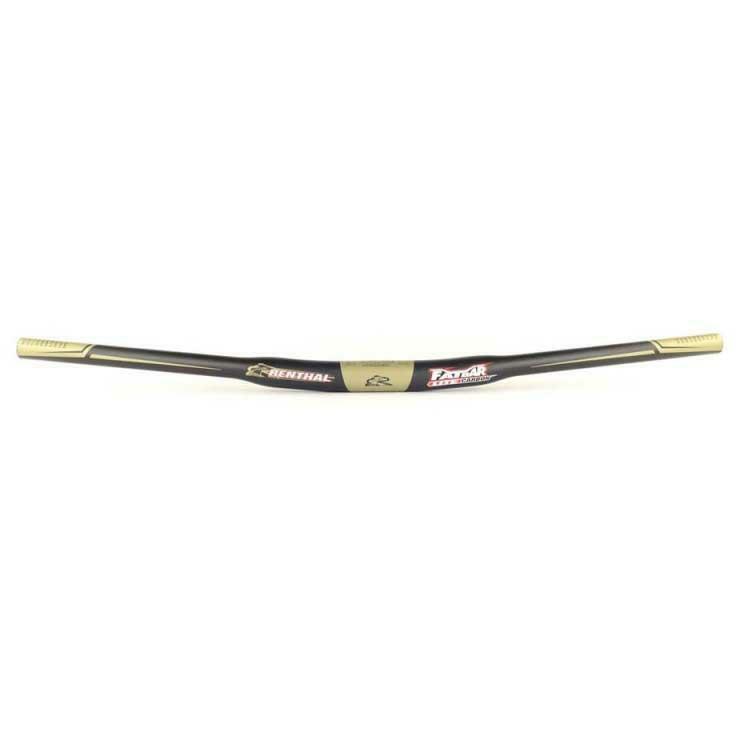 The handlebar Renthal Fatbar dh Carbon Limited Edition is the so successful handlebar Renthal Fatbar DH designed for the enduro and downhill of the conversion, which has been manufactured in the so characteristic gold of the brand of handlebars Renthal and that It makes it more exclusive by having a more limited manufacturing process in number. 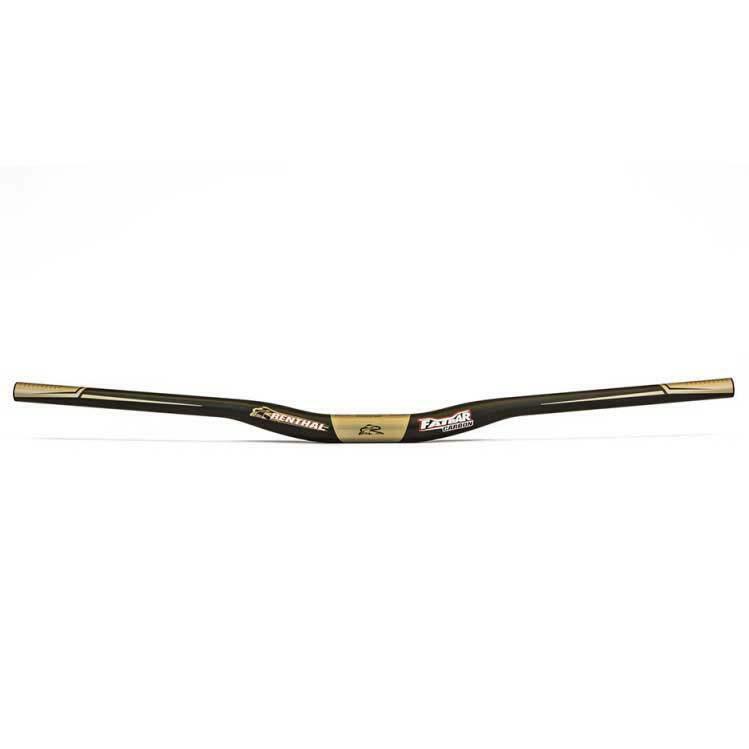 This handlebar maintains the same characteristics as its namesake (handlebar Renthal Fatbar DH Carbon): Very light (with only 225 grams) and with a length of 780 mm and up to four options of measurements of height (10, 20, 30, 40mm rise options). 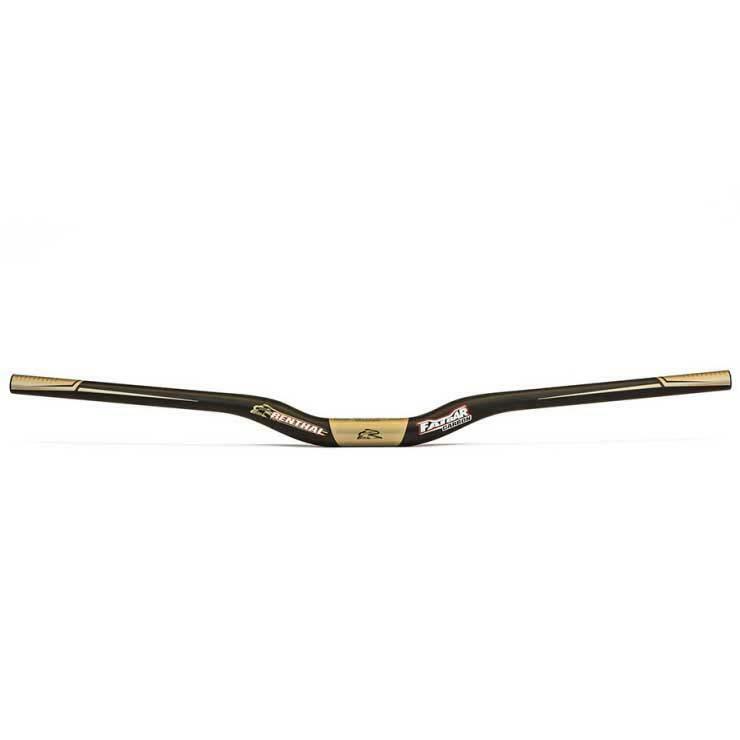 This new handlebar is the indisputable leader, currently, market in terms of weight properties, resistance and most importantly the "transmission" of the sensations of Riding to cyclists. 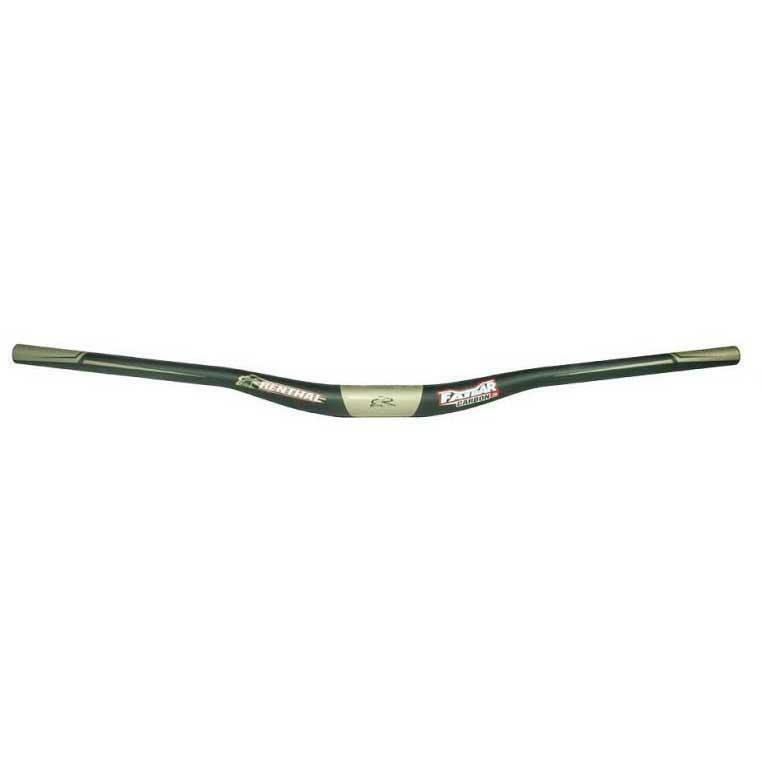 The diameter of this handlebar is still 31, 8mm. What do we know about the Renthal brand? The brand Renthal is a benchmark in the world of Motorcycling. The brand was created in the year 1969 in Manchester by two motorcycle enthusiasts, Andrew RenShaw and Henry Rosenthal. 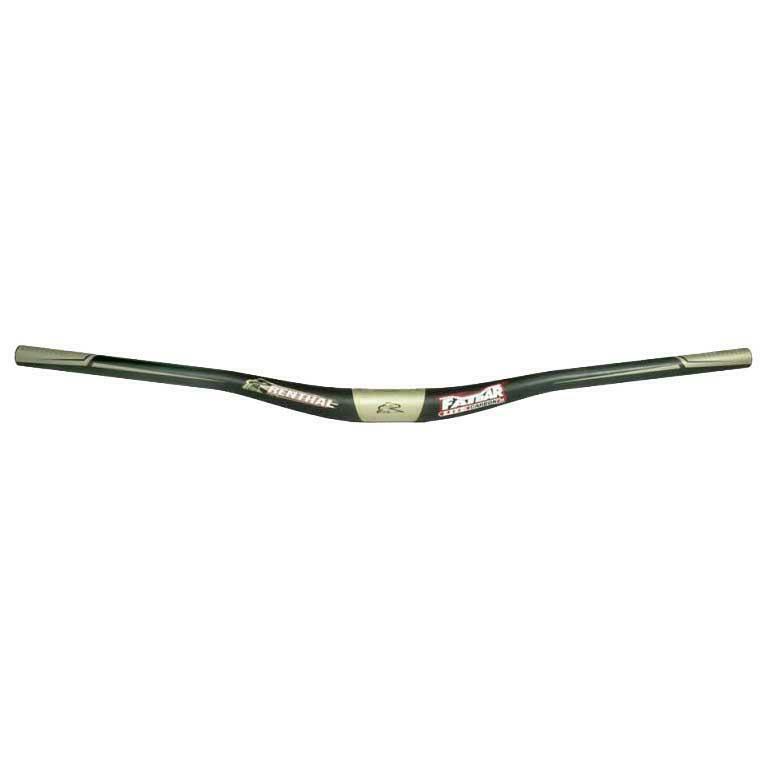 In the beginning they specialized in manufacturing trial handlebars. In the year 1975 he entered the handlebars of motocross. Its growth was progressive during the years 70 and 80 until in the years 90 The brand landed in the United States. From this moment Renthal achieved great recognition throughout the world and the company began to grow rapidly. In the year 2000, a fire destroyed the original factory. This setback, instead of stopping the owners, helped them to build a new ultramodern factory and be able to grow even more. 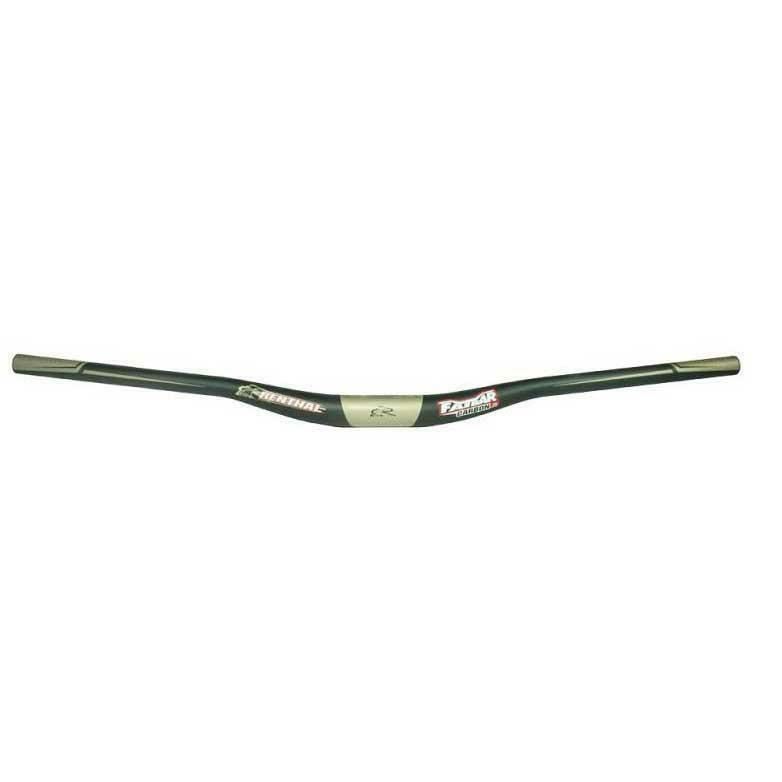 Currently Renthal is the leading brand in the manufacture of motorcycle handlebar s and major brands such as: Honda, Kawasaki, Suzuki or KTM among others mount Renthal handlebars. All this experience accumulated in the motorcycling made that in the year 2010, the British brand was launched in the world of the bicycle. In the few years that it takes in cycling, the handlebar s specific for mountain bike and especially the bikes of the downhill mode, is already one of the marks reference among the pilots of the World Cup. 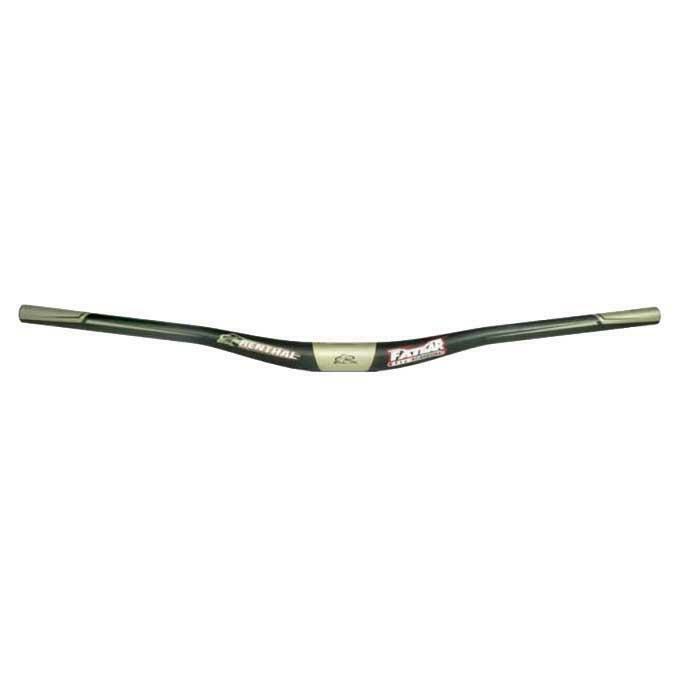 In addition to handlebars, it has also been specialized in other components such as: power, grips, chainrings and frame protect ors among other elements.